West Indies beat New Zealand in the Women's World Cup to slightly boost England's chances of making the final. The Windies won by 48 runs, preserving their own dream of reaching the final against Australia on 17 February. 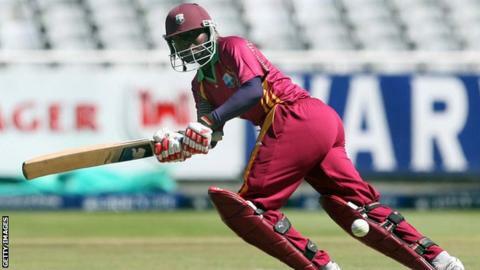 West Indies posted 207-9, with Stafanie Taylor hitting 49, while New Zealand were bowled out for 159. For England to qualify on net run-rate, England must now beat New Zealand in their final game on Wednesday and hope Australia heavily beat West Indies. With the West Indies facing Australia in the first match of the day, England will at least know exactly what they will have to do in order to make the final.